Note: A minimum quantity of 760 must be ordered, and in units of 20 thereafter. 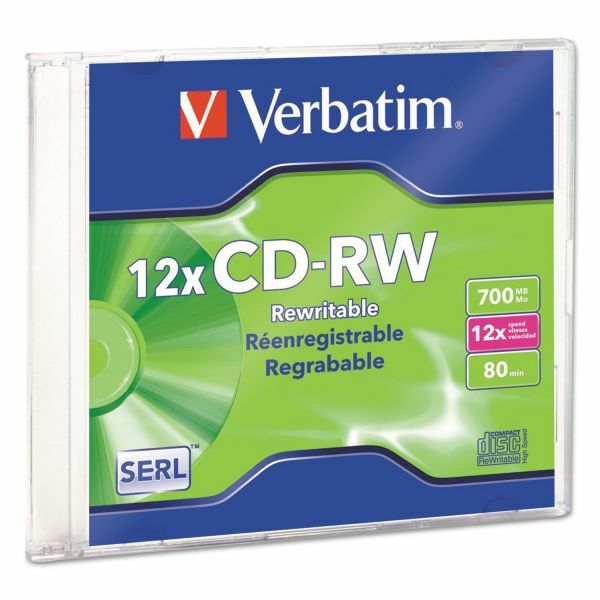 Verbatim CD-RW, 700MB, 4X-12X High Speed, Branded Surface, 1/PK Slim Case - CD-RW offers durability and reliability while archiving data at higher rewrite speeds. 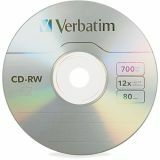 For those looking for the performance and stability of CD-R media, but who want the flexibility to add to or overwrite their music, data or images, CD Re-writable discs are the solution. 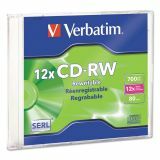 Each disc offers 700MB and 80-minute capacity and is compatible with CD-RW drive up to 12X speed. CD-RW allows you to rewrite data without errors up to 1,000 times. Play back in compatible with multi-read CD and DVD drives.